2. 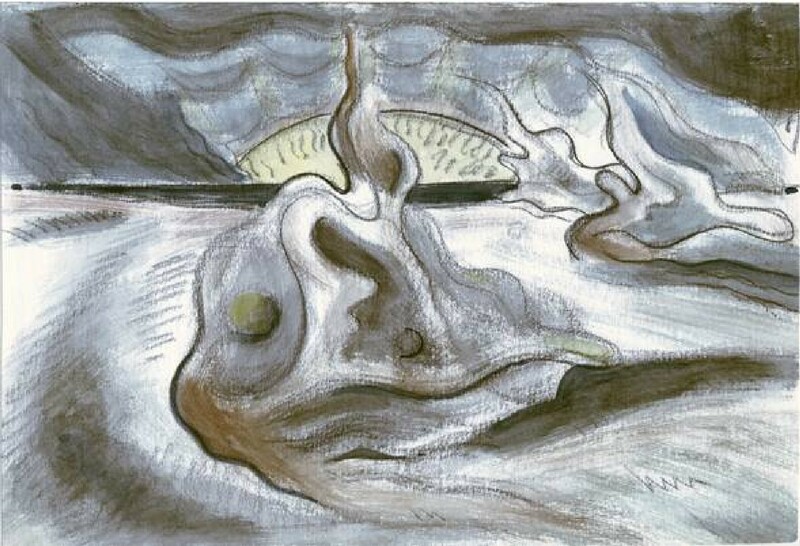 “Storm Clouds”. 1943. Oil on paper. 5.5 x 7.75”.K681.00. From “The Ravine” Vol. 2. The paintings and drawings mounted on the pages of these books are not illustrations of the manuscript entries, although they sometimes have an indirect bearing on them. 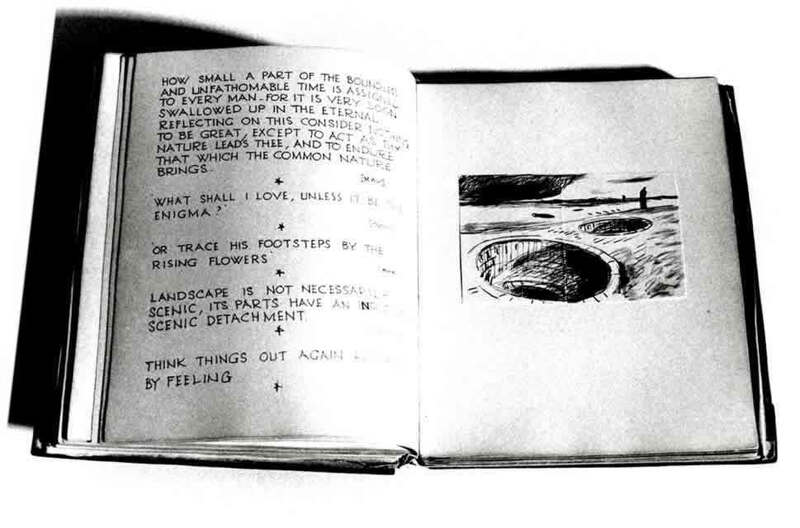 The arrangement of the paintings and drawings within the books appears, at first sight, to be largely haphazard — until, after scanning all the books and knowing his stated aims, it appears that, by jumbling together lyrical landscape images with surreal vistas, he was pursuing, discovering and creating a pictorial world of organic symbols “...which would float on their appointed paths like the themes in a musical symphony” — he was encouraging the natural world to interpenetrate and give substance to his inner imaginary world. 4. “The Ravine” Volume 2 (page size: 10.75” x 8.5”). 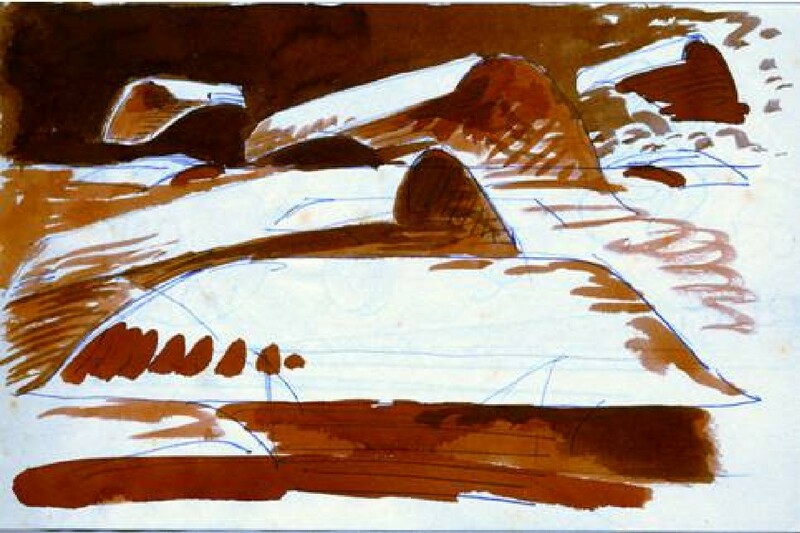 Open at drawing: Landscape with Temple and Figures”. 1948. Pen & ink. 4.5 x 7”. K1035.00. From “The Ravine Vol. 2. Richard Holmes, writing about Coleridge [in “Samuel Taylor Coleridge: Selected Poems”, Penguin Classics 1996], said, “… Coleridge is the great master of the creative fragment. He can almost be said to have turned it into a literary form of its own …”. Most of Maynard Smith’s thought is channelled in fragments in just such a way. 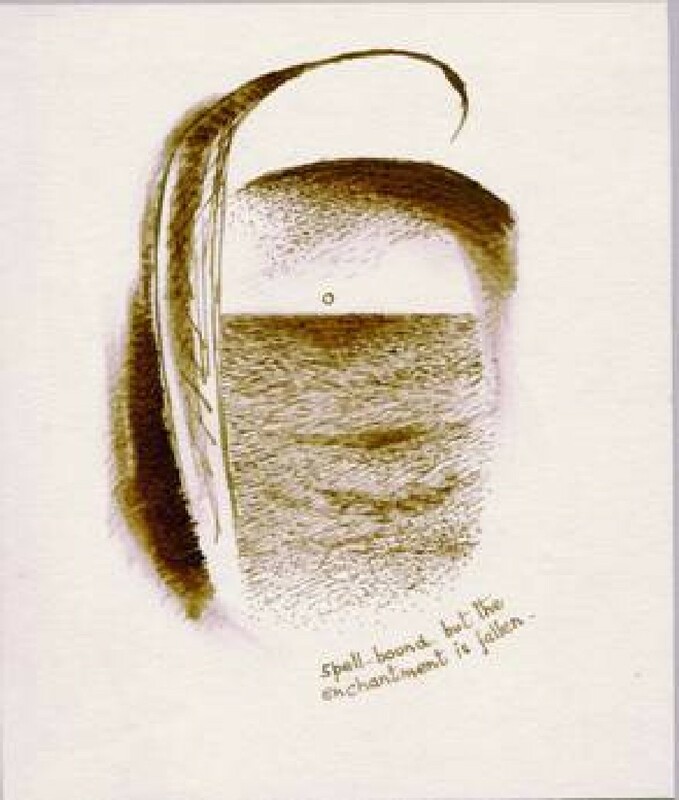 And beyond that, looking at some of the drawings in his book “Free Is the Prospect Here”, he seems to take a step further: the titles he uses are often extremely concise, having the quality of compressed haiku, so that they fuse with the associated pictorial images and together they become the equivalent of songs. Some, by virtue of their intensity, recall the rhythmic drive of Schubert’s song-cycles. The two extracts from “The Ravines” quoted below, chart the beginning and the end of a long trek. 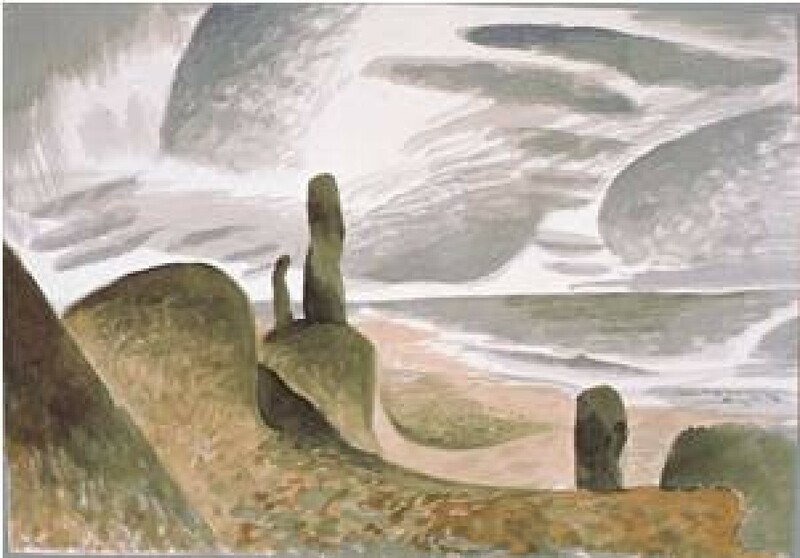 The first was written on Mull in 1923, when the artist was nineteen. It is his dedication at the start of what was to be the secret part of his career. 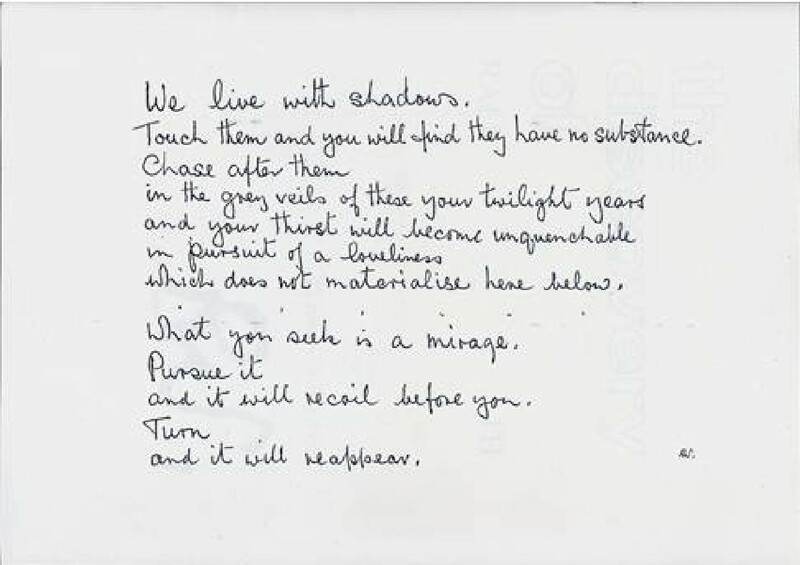 The second quote is from a loose manuscript page, drafted ready to enter into “The Ravine” towards the end of his life. 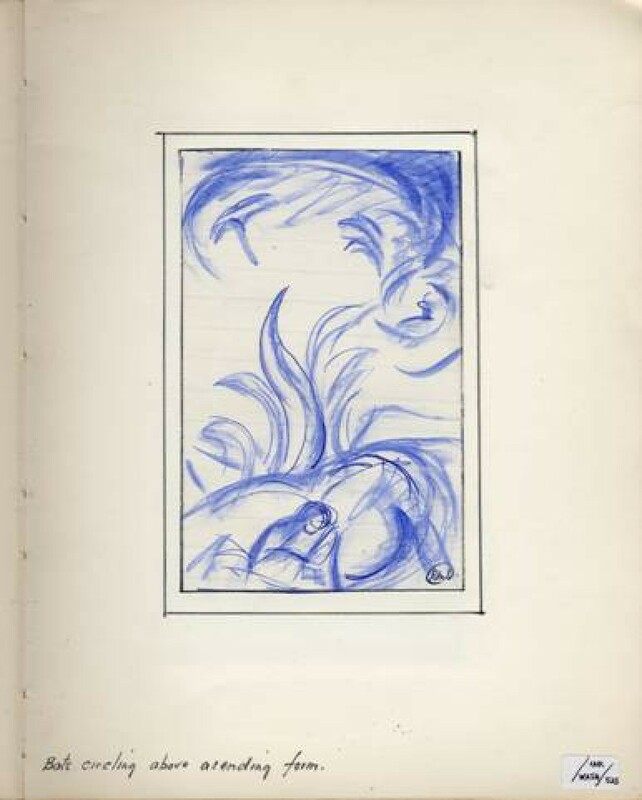 “Free Is the Prospect Here” (started in 1949) with introductory page of text and 65 drawings and watercolours. 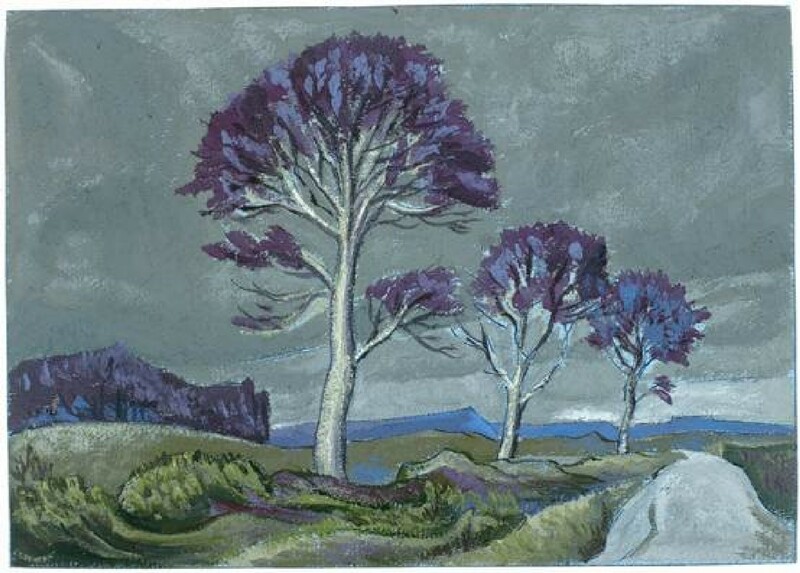 “Iona and the Past” (late 1940s) consists mainly of early loose drawings assembled into this format. 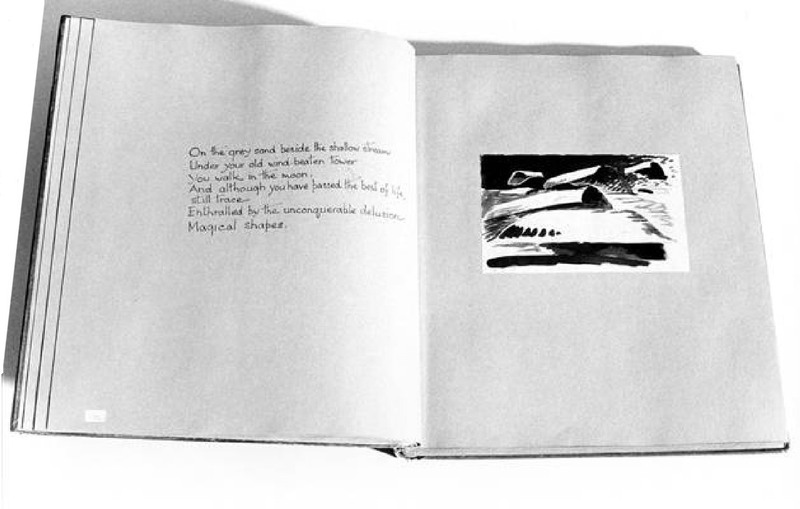 At the time of the artist’s death all the books remained open-ended as ‘work in progress’, except for the “Raw Material” Sketchbook and “Free Is the Prospect Here”, both of which were filled from end to end. Still outstanding, and to be listed in the extended database, are a folder of manuscript notes and isolated pages of manuscript fragments as well as some marginalia. 8. 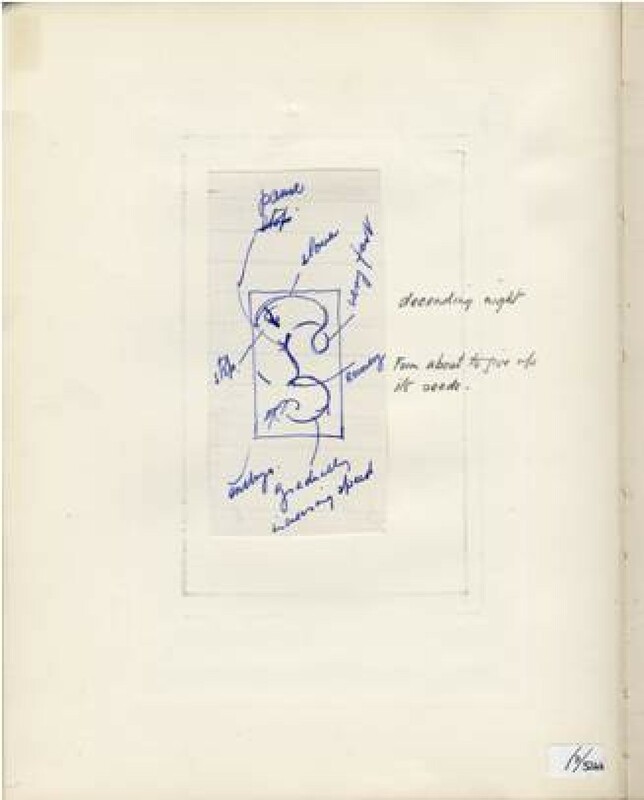 A page from the “Raw Material” sketchbook, showing the drawing of ‘counterpointed’ rhythms in nature (“Symbol 4”) and their use in the adjacent, un-titled, surreal/abstract composition. 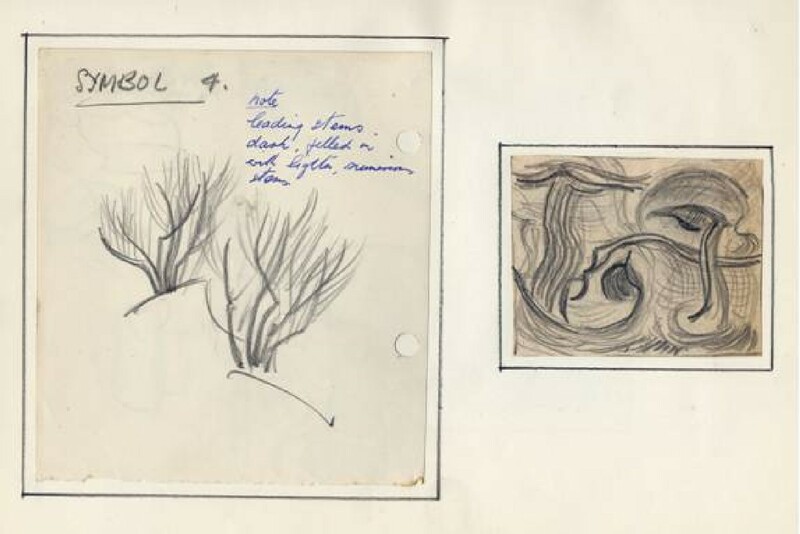 The two volumes of “The Ravine” have long been promised to the British Museum (Department of Prints and Drawings), being temporarily retained by the RMS Trust solely so that it can photograph and edit both texts and drawings. 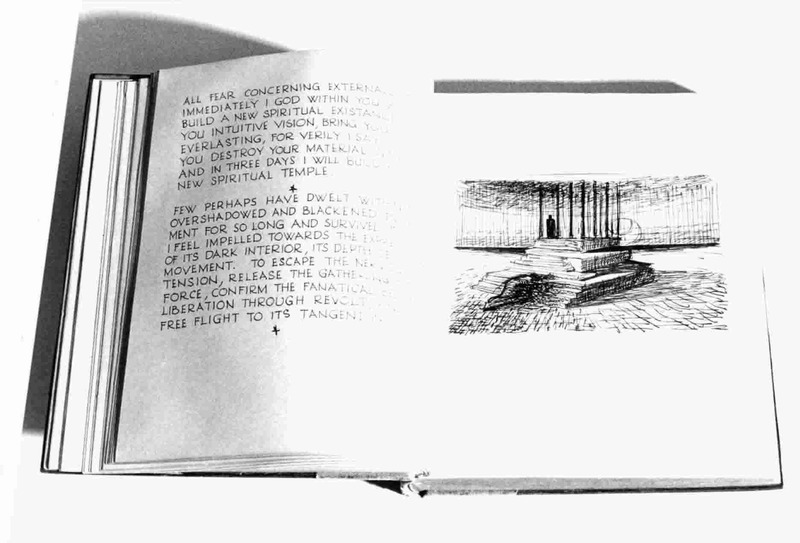 The remainder of the books and writings — “Free Is the Prospect Here”, the “Raw Material” Sketchbook and the paper-back books are, like “The Ravines”, fundamental ‘building blocks’ in the structure of RMS’s work as an artist and they will constitute the other equally important part of the Writings Archive, which is still to be placed. When completed, the RMS Trust database will clarify this two-part distribution of the Writings Archive. At the same time it will present an overview, showing the inter-dependence of RMS’s Painting & Drawing, Writings and Architecture. From the point of view of storage and conservation, the physical size of the “The RMS Archive Collection (Writings)” is small enough to form only a very minor addition to the bulk of the Paintings & Drawings Archive. 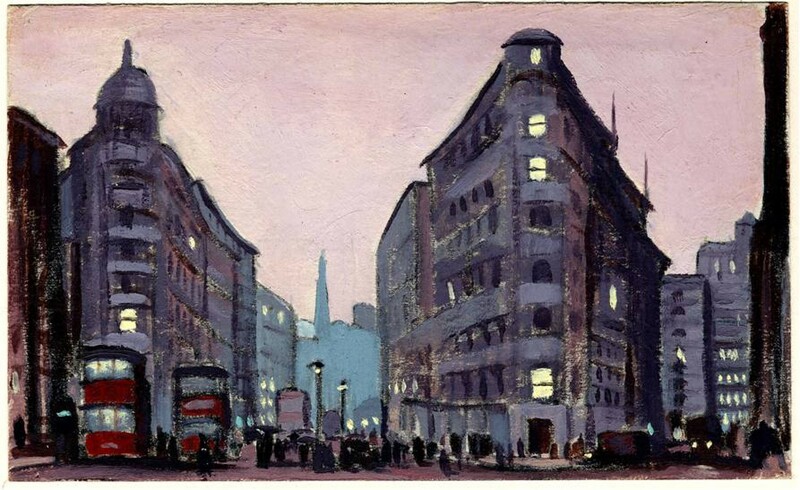 And in our opinion the Writings should stay with the Paintings and Drawings, confirming Ralph Maynard Smith as a painter-poet. 11. “Cove of the Spiritual Lighthouse”. 1951. Watercolour. 7.25 x 10.5”. K1283.00. From “Free Is the Prospect Here” 13. “Magical Shapes”. 1950. Pen & ink, watercolour/ink wash.. 4.5 x 6.875”. K1246.00. You walk in the moon. 14. 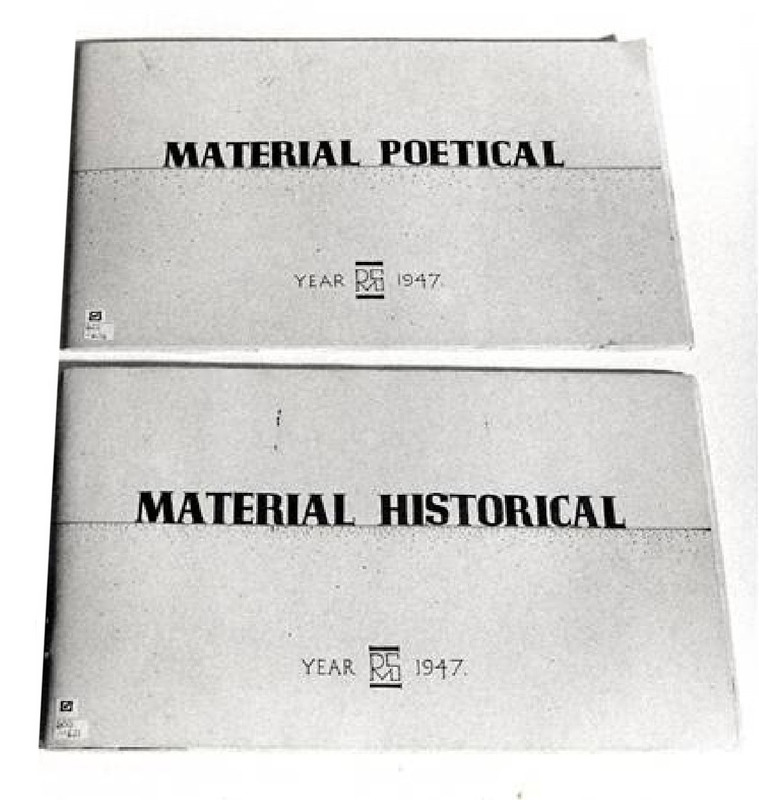 “Material Historical” & “Material Poetical”, two of the paperback books (Page sizes 8 x 12.5”) with “Material Poetical” open at a page of manuscript and facing page with “Night Thoughts”. 1947. Watercolour. 6.75 x 8.5”. K941.00. To make in the time, has now been made. Known and is certain in its direction. If you would like to support our projects, as described in “Work in Progress”, or to discuss the placing of “The RMS Archive”, please go to “Contact & Participation”. 15. “The Incommunicable” (earlier version.). c.1947. Watercolour & carbon pencil. 6.5 x 9.5”. K955.00. 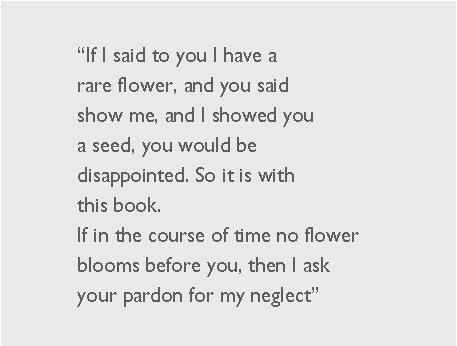 From “Material Poetical”.